After half a century as president of Cuba, Fidel Castro finally stepped down. What happens next? Rowan Lubbock analyses the history of Cuba and makes some sobering predictions. After half a century as president of Cuba, Fidel Castro finally stepped down. What happens next? Rowan Lubbock analyses the history of Cuba and makes some sobering predictions. The sheer flurry of recent speculation over the future prospects for a Cuba without Castro can seem almost overwhelming. Much of the initial commentary in the West has consisted of exuberant victory calls, proclaiming a forthcoming of democracy and freedom. But it seems the Cuban people are rather less enthusiastic. Anthony DePalma of the New York Times (among others) has described ordinary Cubans as wary of “a savage capitalism” that seems poised to take away from them “the best houses, the best land, the best factories.” [1. Anthony DePalma, “A Future to Wince At”, New York Times, February 24, 2008″] Cuba’s recent history sheds light on these contradictory views. Yet it would be a mistake to believe that Cuba has ever been an island truly unto itself. Meanwhile on the island, the dream of bringing power and control back to the Cuban people was never entirely realised. While Castro’s Cuba has been romanticised by many on the left as a bastion of worker power, the historical structure of Cuban politics tells a different story. The debate and formation of policy at first stayed within a tight network of ‘declasses’ and sectors of the petty bourgeoisie, and not with those the new revolutionary regime depended on for support: workers and peasants.[8. See Chris Harman, “Cuba behind the myths”, International Socialism, Summer, 2006, p.84.] Despite this odd mix of revolutionary and capitalist interests inhabiting the same cabinet, Castro’s tight control of policy formation within his own revolutionary clique frustrated the more conservative elements in government, who eventually resigned one by one to find more lucrative pursuits in the United States. In the end, the most crucial decisions concerning social, political and economic affairs consistently flowed from the top down, without affording any political space in which the Cuban people might organise and implement their collective will. After turning its back on US capitalism for the first time in Cuba’s history, the revolutionary government was eager to begin the process of rapid industrialisation, in the hope that Cuba could break itself from the shackles of cash-crop exportation. Ideological convergence (as well as the near absolute US blockade of world trade) made the Soviet Union a natural partner in Cuba’s economic development, giving Havana some room for manoeuvre in diversifying its industrial development. In the end, Cuba could not escape the very nature of its standing within a capitalist world economy – it was simply too small, underdeveloped and tightly integrated into world markets to successfully pursue policies of rapid industrial development. Having struck a decisive blow against the old system of oppression, the Cuban people were consistently denied any chance of establishing a truly collective system of autonomous worker associations that would be capable of responding to popular needs. Free speech was curtailed. Criticism of the revolutionary government was, and is, punishable by imprisonment or worse. This tragic narrative of strangulation and subversion from the outside, and the centralisation of political power from the inside, has marred Cuba ever since. But now that the torch has been passed from one Castro to another, what are the immediate prospects for Cuba today? Two issues immediately emerge. Firstly, Cuba will very quickly have to learn how to swim among the deadly currents of global neoliberalism. Secondly, as a concomitant effect of this ‘liberalisation’, the Cuban people will likely see the continual economic restructuring of their country confined to a tiny policymaking clique, made up of elements from the old guard and larger foreign capitalist interests, and possibly leading to a further degradation of the social fabric that began after the end of the Cold War. Despite this painful experience, the US State Department remains adamant that without further exposure to the global neoliberal framework, Cuba will have no chance of reducing its crippling level of hard currency debt, standing at roughly $11 billion. The report ‘Commission for Assistance to a Free Cuba’ notes that addressing the debt “will allow Cuba to re-enter world capital markets… Should Cuba need debt relief from its Paris Club creditors, Cuba will likely first need an IMF program.” This will no doubt entail a near total marginalisation of the population for the sake of Western capital and financial speculators. As Anne Krueger, the First Deputy Managing Director of the IMF, has argued, an “efficient” model of sovereign debt restructuring should “draw… on the principles of well-designed corporate bankruptcy regimes”[12. Cited in, Larry Cata Backer, Cuba and the IMF: Conflicts over the Nature of the State and Sovereign Debt in the Emerging Global Economic System, p.10] Anyone familiar with the modus operandi of corporate restructuring will surely expect a rapid rise in unemployment, depressed wages and lower social spending within Cuban society, should the IMF be allowed to sink its teeth in. In keeping with the Castro brothers’ preference for market reform over political reform, Cuba is unlikely to see any substantial movement towards a more participatory political system, notwithstanding the recent adoption of two human rights agreements with the UN. As Time magazine explains, Washington should “establish [with Cuba] the kind of diplomatic relations [it] has with other iron-fisted regimes, like those in China and Saudi Arabia”, in the hope that it will be able “to exert some direct influence on the island’s economy and politics”. This widely shared sentiment among Western elites nullifies the predictably empty rhetoric espousing greater political freedom for ordinary Cubans. As the Wall Street Journal recently commented, “Raúl is expected to attempt to move the country toward a more competitive economic system, on the China model, something he has supported in the past.”[13. WSJ Europe, “49 years of Fidel”, February 20, 2008, p.A14] If China is intended as a model of social development, the Cuban people have good reason to be weary. The ‘enlightened despotism’ of Cuba’s Cold War past is likely to soon give way to a new ‘enlightened polyarchy’, which seeks to support the imperatives of competitive accumulation. When Fidel Castro addressed the UN General Assembly in September 1960, he boldly proclaimed that, “imperialist financial capital is a prostitute that cannot seduce us”. Yet with the twin transitory features of an increasing openness to the world economy, and a lack of popular power, it would seem that the seduction of Cuba is a very real and dangerous possibility. The Cuban people need our sympathy and solidarity now more than ever. 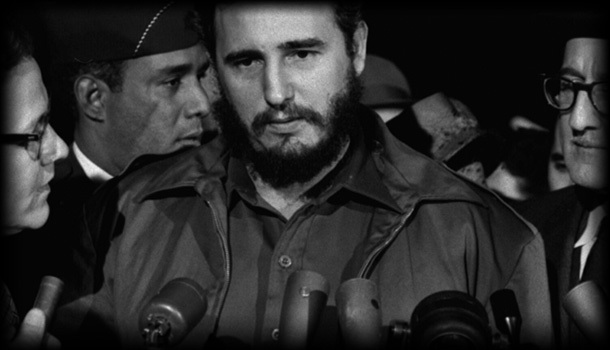 Fidel Castro would always be an icon of history evethough he is against the U.S.*;. I’m pleased I ran across your web site on google. Thanks for the sensible critique. My wife and me ended up just getting ready to do some research with this. I’m very happy to see this sort of great info getting shared freely out there.